For running an organic winery a good familiar teamwork is needed. For 7 generations our family owns the winery situated in a century-old house near a Franciscan monastery found in 1454. We not just run the 500-year-old wine cellar of the monastery, we also cultivate 30 hectares of vineyards along the Kamp valley near the small town Langenlois – an area having a long tradition in wine growing. We are proud to run an organic winery. In spring the flowering green manure which covers our vineyards is quite eyecatching. It should maintain the fertility of the soil during the dry summer months. At the end of may the vine starts blossoming – extraordinary blossoms with an extraordinary scent. The grapes taking up the sun energy in summer mature and become sweet and aromatic. And at the beginning of october we finally start harvesting the grapes and make must of them. We only press wine grown in our own vineyard. The wine is characterized by the soil, the climate and by the people. The traditional varietals having been cultivated here for generations are Rheinriesling, Chardonnay, Müller Thurgau and Grüner Veltliner. Many years ago they also started to grow Blauer Zweigelt, Blauburger and Blauer Burgunder. From these we nowadays also produce rosé and barrique wines. My objective is to preserve the typical characters of the different varietals and vintages and even to be allowed to show them instead of reducing them to a perfect homogeneity. We aim to produce agreeable and pleasant wine – that`s what we have learnt from the experiences of our ancestors. The vaults of our cellar built by the Franciscans in 1454 offer a temperature of 10 degrees – perfect conditions for the production of high-quality wine. Inspire the atmosphere of the cold, dark, silent wine cellar protecting innumerable wine casks and bottles. 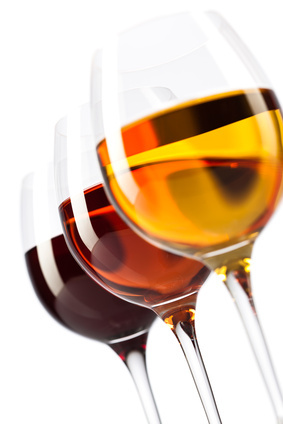 Here you may taste wine – and feel the differences between different varietals and vintages. Whereas the leading gastronomy is used to demand organic vegetable and meat nobody still cares to this day if wine has been grown with organic fertility. The leading wine growers themselves have come to believe that the quality in the glass is not the one and only important thing. We also should consider the nature, the perfect working of the ecosystem vineyard as an essential aspect. We are sure that the organic winery will be an essential requirement for the production of high-quality wines in future. It was observed that the bacterial activity in the soil of certain vineyards comes close to Sahara soil. And the wine connoisseur thinks to feel the soil when he tastes wines grown on such a dead soil – isn’t this absurd! ?